HARARE, 9 April 2014 (IRIN) – Could fears of the imminent collapse of the more than five-decade-old Kariba Dam on the Zambezi river between Zimbabwe and Zambia spur Zimbabwe into more effective disaster preparedness? In early March, engineers at a conference organized by the Zambezi River Authority (ZRA, a Zambia-Zimbabwe organization which manages the Kariba Dam) warned that the 128-metre-high dam could collapse, threatening at least 3.5 million people especially in Mozambique and Malawi. Years of erosion had made the foundations of the dam weaker, said engineers. “Anything is possible, so there is a need to act to avoid risk and minimize panic,” Modibo Traore, head of the UN Office for the Coordination of Humanitarian Assistance (OCHA) in Zimbabwe, told IRIN. 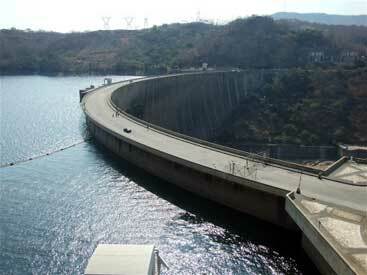 The Kariba Dam holds one of the largest man-made expanses of water in the world. ZRA says the “situation at the Kariba Dam wall is a cause for grave concern”, and “all urgency is expected in order to avert any such catastrophe as dam failure”. It acknowledged the need for major repairs. Disaster preparedness in Zimbabwe is extremely weak, if the example of recent flooding involving a partially built dam is anything to go by. In February, flooding of the Tokwe-Mukosi dam in southeastern Zimbabwe displaced thousands of people, and forced the government to declare it a national disaster. Affected villagers have been moved to temporary shelters within Masvingo Province where the dam is located, but many are struggling to cope with the lack of food, clothing and medicines. The government has been criticized for being ill-prepared. Madzudzo Pawadyira, director of the Civil Protection Unit (CPU) which comes under the Ministry of Local Government, said they had learned lessons from the Tokwe-Mukosi disaster and were doing their best to prepare for a possible crisis at Kariba. “The Tokwe-Mukosi disaster took us by surprise as we had not foreseen water rising to that level, but the fact that anything can happen any time… has taught [us to] be on our guard all the time, even when information available shows there might not be an immediate threat,” Pawadyira told IRIN. A national disaster contingency plan team was caught off guard by the Tokwe-Mukosi flooding as it “was not in our scenarios”, said Traore. Despite what Pawadyira described as “meticulous planning around disaster risk”, his department’s efforts were hampered by shortages of money and human resources. “In the case of Tokwe-Mukosi, we have for years had plans to move people and livestock from the vicinity of the dam, but managed to resettle only a few households because of lack of funding. The suddenness and magnitude of that and other disasters have also put us under immense stress,” he said. With rains expected to increase in intensity in the future, experts have raised concerns over the ability of the dams on the Zambezi to handle excess water. Pawadyira said the CPU was in constant touch with the military, police and ZRA to map out an emergency plan to respond to early warnings of a disaster at Kariba. “We have inspected the dam wall and are making plans, particularly with the military, which would provide helicopters and rescue personnel, on how to evacuate and search for victims of a possible… flood”, he said. They are also warning communities of the threat; and are in constant touch with the Zambian and Mozambican authorities with updates, he added. In the event of a wall collapse, Pawadyira said the waters would move with “tremendous speed”, and reach an area about 150km away within seven hours, a likelihood, he said, that required “utmost readiness” as the waters could easily submerge villages, buildings and drown people downstream of the dam, in Zambia as well as Mozambique. A collapse of the Kariba Dam, which generates hydro-power, would not only affect livelihoods of communities and commercial entities that depend on it for tourism and fish, but also electricity in southern Africa, Erich Bloch, a well-known Zimbabwean economist, pointed out. A fundraising committee has been formed to look for money to reshape and stabilize the plunge pool at the bottom of the Kariba Dam to reduce further erosion at the base of the dam which could lead to its collapse, according to ZRA. When the dam was constructed between 1954 and 1959, engineers estimated that the pool would stretch for a maximum 10km, but it has spread about 90km putting additional pressure on the dam wall. A joint communiqué by Zimbabwean and Zambian energy ministers, who visited the Kariba Dam recently, said major repair works needing US$230 million would start in 2015 with financial support from the World Bank, the African Development Bank and the European Union.